"Whats better than a FREE Ride!" Raise money or Donate to Challenged Athletes Foundation - Operation Rebound, and receive a Free Ride and more! All Money Raised goes directly to the Charity; you will be provided tax deductible receipts. Register for the Ride with Jersey of your choice and we will refund your your entry fee as soon as you make your fundraising goal of $600 or more. Set up your Fundraising page on Our Crowdrise page. Fundraising must be for Challenged Athletes Foundation - Operation Rebound. The following waivers need to be signed an brought with you to obtain your bib. For mail-in registration forms click here. 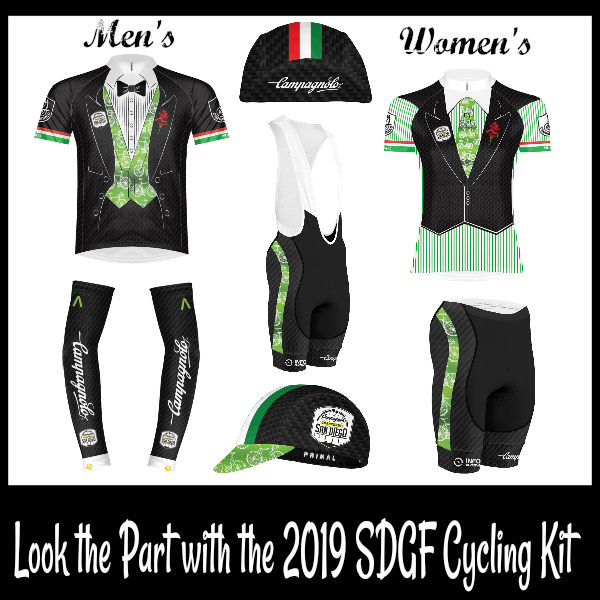 The Campagnolo Gran Fondo San Diego is proud to support Challenged Athletes Foundation's® (CAF) Operation Rebound®.